― the late philanthropist & medium, Chico Xavier. I have come across quite a few people who opine that we are living in a messed up world. Most see life on Earth changing for the worse. Personally, I don’t blame them considering the news that mainstream media report on a daily basis. It’s as though one crisis is happening after another. Although I am aware of positive changes taking place right now, I cognize the collective human consciousness shifts slowly. To really understand the global situation we are in, we need to comprehend the nature and characteristics of humans as a race. But in order to do that, one needs to be aware of the souls inhabiting the human bodies. Although all souls come from the same Source/Creator/God, each soul is different in terms of his/her human experience. Souls who have had many lifetimes/ incarnations tend to be the wiser ones who fare better at living a harmonious life with others. On the flip side, souls who have reincarnated only a few times tend to create/contribute more drama on Earth. Such souls are also very easily influenced by the company they keep. Often, they are led astray by fame, fortune and authority/power. Diana Cooper, a therapist, healer and author who communicates with the angelic kingdom has described in her book , Angel Answers about ‘Soul Ages’, a term to define the accumulated lifetimes a soul has had. She uses descriptions like Toddler souls, Teenage souls, Middle-aged/Mature souls and Wise old souls to differentiate humans of their level of incarnational experiences. Other sources use even more categories (7) to differentiate this i.e. From Diana Cooper’s contact with angels, she highlighted that in many countries, majority of its population comprise younger souls (lower levels of maturity and wisdom). Hence, our global political, social and economic climate seems quite chaotic. Another intuitive lady by the name of Lisette Larkins opines the same. Lisette has had many visitations into the realm called ‘life between lives’ or inter-life experiences. Basically she managed to regressed back into the time before her present incarnation. From that insight, she remembers souls like her choosing their next incarnation and agrees that souls do vary in terms of the number of human lives they have had, which she terms as ‘spiritual attainment’. Undeveloped souls with only a handful of lifetimes would usually have a lot of fear and uncertainty in them when incarnating. She explained that souls keep reincarnating to evolve as a species. She feels most people on Earth are younger souls which result in the immaturity of their action. Out of curiosity, I decided to connect with Archangel Michael to enquire about this topic. The answer that I received was that more than 70% of Earth’s population seems to comprise Young souls, Baby souls and Infant souls! This reading appears to be consistent with the opinion of Diana Cooper and Lisette Larkins and that perhaps may help explain why our world seems to be in ‘bad’ shape to many people. Inexperienced souls who hold positions as heads of countries and corporations often succumb to greed for personal wealth and power at the expense of others. However at this juncture, it is important to stress a point many spiritual people have concurred – that Earth is considered a tough training ground compared to other planets in the Universe. The diversity and complexity of life here can really take its toll on souls. Nevertheless , when one masters the many lessons of being a human, the soul grows considerably, as revealed by the findings of Dr. Michael Newton in his ground breaking books, Journey of Souls and Destiny of Souls. The content of those two titles is based upon his many past life and inter-life regressions with his clients. If you have, then you are experiencing a heavenly moment on Earth, right now. The phrase ‘to forgive and forget’ is quite a common advice for people who have been hurt physically, emotionally or mentally in a hope that they can move on to a new chapter in their lives. 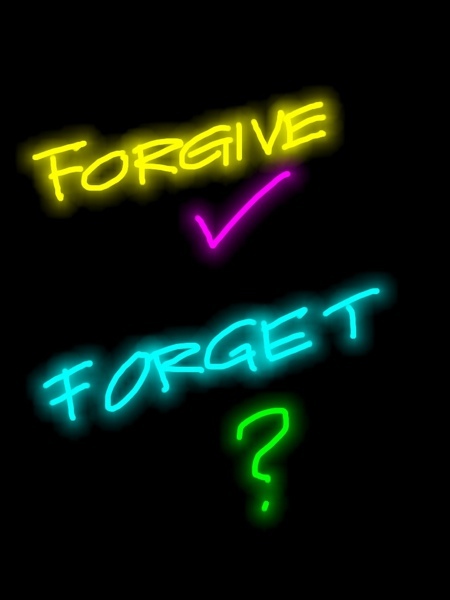 However, in very traumatic cases, certain people say they may try to forgive but find it extremely difficult to forget. I fully agree with this notion and that is why I don’t tell people to shut out the memory, in my healing practice. I have learnt that by default, every single moment we encounter is stored in our cellular memory (DNA field). So, it is literally impossible to forget 100%. However, what I try to do is to suggest that people forgive or make peace with the perpetrator who caused them so much pain/anger while at the same time love themselves more. In my past reiki healing sessions, several of my clients have spontaneously burst into tears , halfway through those sessions. From what I could discern from angelic guidance, the healing energy that I sent to them stirred up past painful episodes. Sometimes, bad childhood memories may surface from the subconscious mind whereas on other occasions, these memories could be from past lives! When that happens, I ask my clients to acknowledge these feelings and tell them to ‘let it all out’. I explain to them that there is NO shame in crying. (Note: In cases where my clients are males, I don’t tell them to ‘be a man’ and end the flow of tears. On the other hand, I explain that it is an effective way to release pain and sorrow). 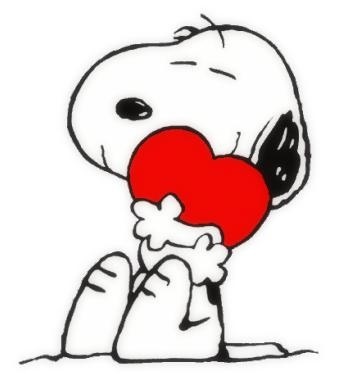 Then I suggest to them to forgive those who have hurt them as well as to send love to their own selves. In summary, I will never advise people to suppress their pent-up feelings or tell them to force themselves to forget those moments because the memories would continue to exist anyway. Instead, I explain to them that every single event has no meaning until we assign it with one. A memory is painful to recollect because we reacted in a particular fashion. The definition was given by us and by the same token, we can always change our description of it by reacting differently. So, I suggest to my clients to make peace with the memory by forgiving the ‘culprit’. I explain that when we forgive someone, we are not implying that it’s alright for people to hurt us. Instead, we are trying to lighten ourselves by letting go of the anguish feelings. If we choose not to forgive, the burden will continue and we will never attain inner peace. In other words, it is perfectly fine to admit that some horrible event has happened to us, and often, it is part and parcel of our challenging life on Earth. But if we choose to heal and rise up from being in ‘victim mode’, a brand new opportunity arises. In the end, I explain to people that we do NOT have to be defined by our history. Instead, we ought to realize that we have the ability to chart a new future. In doing so, we can live as an empowered person. Change always begins with the belief … that we CAN change! People of different cultures and faith practice different prayers. During the said prayers, certain people make offerings to honor the Ascended Masters/ Divine Beings whom they pray to. Recently, I was invited to such a ceremony , where the organizer was honoring the beings called Lakshmi (Goddess of Prosperity) and Medicine Buddha. Before the person began leading the gathering to recite certain prayers, I called upon Kwan Yin, Goddess of Mercy and asked her whether any divine spirits were present. Interestingly, I got the message that both Lakshmi and Medicine Buddha were ALREADY there! In addition to that, Archangel Metatron as well as several souls related to those people in that ceremony too have appeared. I found out that one of the souls was the ‘deceased husband’ of the organizer. After the event, I asked three ladies (whose third eye was open) whether they ‘saw’ any divine presence during the prayers. All of them admitted seeing Medicine Buddha (also known as the Blue Buddha) . One of them even said she saw Kwan Yin. This affirms my suspicion that the Divine are always aware of our activities in this physical realm. We are connected all the time but because majority of us can’t see them, we sometimes feel so lost and alone in our journey on Earth. Recently, a young man came to me to seek reiki healing as he was tired and stressed out. As we were chatting, a clairvoyant who was present saw the presence of Jesus, standing next to my client. He admitted that he resonated with Christianity although he is open to other belief system as well. When he discovered I could make simple contact with the divine, he told me he wanted to know who his guardian angel is, as he was pretty lost. So, I proceeded to ask Archangel Michael (whom I often consult). Interestingly the answer was that his dominant Archangel Guide is Archangel Raphael and his dominant Ascended Master Guide is Jesus. That helped to explain why the clairvoyant saw Jesus even BEFORE we started our reiki healing session! Once again, this validates the saying that we are never alone. Life as a human can be challenging, because when we incarnate, memories of the Other Side are suppressed and our sixth sense is toned down. However, many spiritual people have channeled that this is by design as it forms part of the test on Earth. In such absence of memory, humans are now given free choice to choose how they wish to live their lives. Do they long to go on a spiritual path or do they succumb to the duality of light and dark? Darkness in this context means caving in to the Ego’s selfishness, greed for power, money, etc. In other words, souls are given the opportunity to evolve. As the consciousness of humanity changes, Earth vibrations alter in conjunction with our direction. Many gifted people have concurred, humanity has gone beyond the point of the Doomsday potential and that is why Year 2012 passed without the destruction of the world despite many catastrophic prophecies surrounding it. As the vibration of humans and Earth continue to ascend, people will start becoming more sensitive to the presence of the Angelic Kingdom and spirit world. Once people are able to connect with the Divine forces from the Other Side, they will feel less separated than before. When that happens to an individual, it will dawn on that person that the prevalent perceived separation has always been …..just an illusion. ― Esther Hicks, author and channeler.